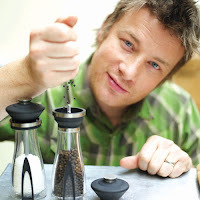 Love him or hate him, you can’t deny that Jamie Oliver is a huge source inspiration thanks to his passion and dedication for his many causes to change the world for the good. 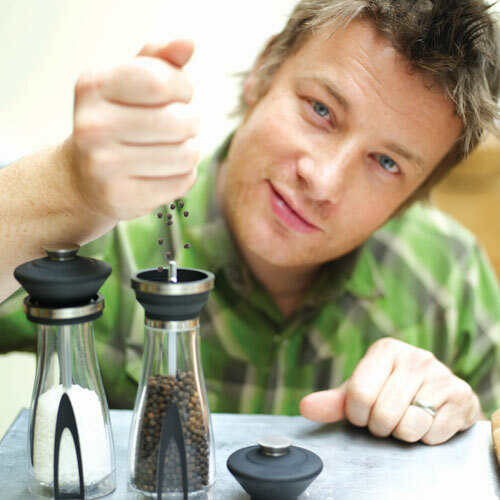 Most of his projects thus far have revolved around food and healthy eating – as you would expect from a top chef. But his latest project is completely different – education. In “Jamie’s Dream School”, he’s taken a classroom full of pupils who failed to achieve five A to C GCSE’s (the level required by most colleges for entry), and give them a second chance in his school. As you’d expect Jamie’s school is different than your traditional model, in that with his ‘celebrity’ status he’s managed to persuade some of the best people in their field to teach and provide the lessons. A genius and unique way to get through to these disruptive pupils; what better than those who are uniquely placed to talk about their chosen specialist subjects than those who are famous for knowing about those subjects. Hell, I’d jump at the chance to attend any one of those lessons if only to learn from the very best. There-in lies my problem with this concept. The pupils who concentrated and worked their socks off for their academic lives and made the effort to pass exams get nothing as far as this show goes, yet those who cruised or disrupted or just didn’t care enough to put in the work get the pleasure of a second chance and attend the lessons of a lifetime. Stepping back, I can admire and appreciate what Jamie is trying to do here, but I don’t really see what the ultimate goal is at the end of the show – is the message, don’t work hard and we’ll get celebrities to teach you everything you need to know? Or is it that everyone gets a second chance, so don’t worry about things the first time around? I don’t get it. If Jamie really wanted to change education and improve the lives of the next generation, then I think he’s backing the wrong campaign. Instead he should be looking at how to change the system to benefit everyone, like the ‘Khan Academy’. The Khan Academy, for those not in the know, is an online education portal (that’s the best way I can describe it), which contains a bunch of videos on a variety of different academic subjects. The idea is that you log onto the site, pick a subject and watch a video lesson online at your own pace; allowing you to pause, rewind and review the video as and when you need to – you can even play the lesson over and over again until you really do understand the content. You then get a quick test at the end of the module and only upon a pass of 10 or above can you progress further. Whilst this is all very impressive, what really projects the Khan Academy further and makes it one to watch for the future is the underlying analytics that can allow teachers to monitor their student’s progress through the online academy and allow them to focus in on an individual’s weak point. But that’s not all, the academy allows teachers to completely change the dynamics of the classroom; by allowing self-paced, online learning for students, it means that pupils can learn at their own pace when it suits them outside of the classroom, allowing classroom time to be used more as a one-on-one basis to help those who are struggling with certain aspects of a course to be addressed – and the analytics from the site help identify those pupils and those subjects causing problems. To me the approach of the Khan Academy is totally revolutionary and has the potential to become absolutely huge across the globe for many, many people – not just those in schools, but also those with an interest or need to brush up on their skills in certain areas. It’s also a far better and scalable system than Jamie’s static and unhelpful Dream School approach. What’s more, Bill Gates just so happens to agree and approves of the Khan Academy concept.